Community and interdependence are at the heart of a sustainable lifestyle, and The Homestead Atlanta is no different. We seek to connect members of the community with meaningful experiences offered by local organizations and artisans. Our partners are dedicated to helping you learn the skills needed to live a more handmade life and foster the connections upon which regenerative community is built. Plus, they're pretty cool folks, if we do say so ourselves. Get to know them now! The Herbalista Health Network recognizes healthcare as a fundamental human right and works to protect health access through clinical services and educational opportunities. We strive for a community based model of healthCARE that is based on solidarity and not charity. Our web of programming is built to spread the knowledge, keep costs down, and give us all opportunities to share the love we have for our neighbors and planet. Discover the amazing web of services and educational opportunities provided by the Herbalista Health Network here. Goat n Hammer is a small group of artisans sharing studio space at The Goat Farm, but they quickly become like family. Led by Mark Hopper with the help of Jessica Collins, this growing group of metalsmiths provides a safe, fun, rigorous environment to expand your knowledge and hone your skill in blacksmithing. Garden*Hood is an independent retail garden center located in Atlanta’s historic Grant Park neighborhood. Founded by plant people for plant people, Garden*Hood is a nursery where horticultural expertise, exceptional plants and a friendly, knowledgeable staff come together to foster community, inspire creativity and nurture the gardener in all of us. Homestead Atlanta members receive 10% off all purchases at Garden*Hood by showing your Discount Card! Don't have one? Contact us today. Fabricate Studios is an educational classroom space dedicated to the fiber arts in West Midtown Atlanta. From sewing and quilting to embroidery, knitting and more, Fabricate offers skills-based instruction for children and adults. Regardless of your current skill level, their beginner, intermediate and advanced classes build on one another to help you reach your goals. endeavor, The Manzana Tree, Beth found The Learning Kitchen ATL. heritage events and programming for kids. Located in the heart of Castleberry Hill, MASS is an inclusive educational facility and laboratory, supporting research and development across a broad range of fields. They foster creativity and multidisciplinary collaboration by providing open access to unique tools and resources. MASS is an acronym which implies the shared innovative spirit among those with Musical, Artistic, Scientific, and Social pursuits. At MASS, they wish to see new ideas thrive, and to kindle the fire of creative genius within each of us. Their goal is to help weave individuals into an ever-growing network of students, educators, and creators. 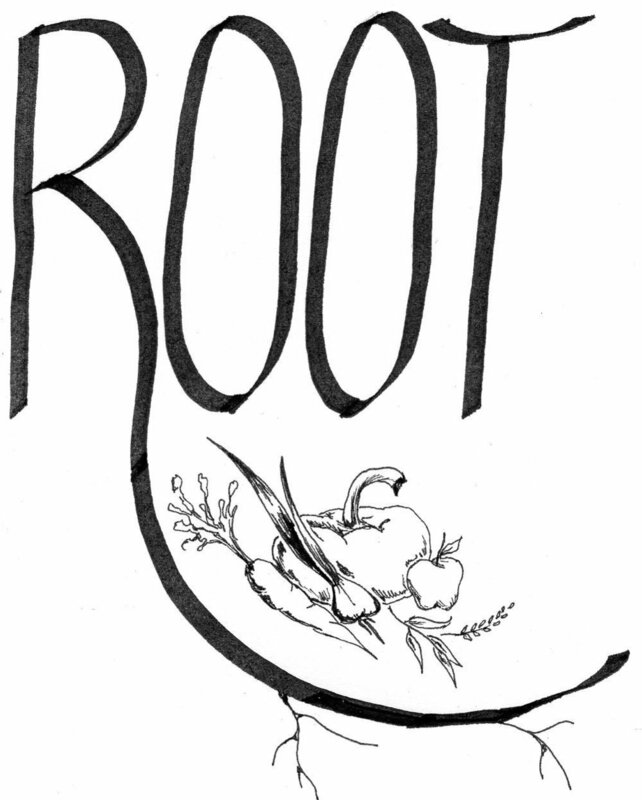 Root is a food history and fermentation organization in Atlanta. Root's founder, Julia, is passionate about building community connections and enriching personal experiences using food. Root offers hands on fermentation classes, private coaching, and custom ferments, all designed to get you excited about fermentation and confident enough to explore on your own. Root also offers food history consulting for events, research projects (including genealogy research), and creative projects (filmmakers, visual artists, fiction writers, and more!) Root is dedicated to building community, and does so by providing fermentation class scholarships to underserved communities, and donating excess ferments from each class to Umi Feeds, so they can be shared with Atlantans experiencing homelessness. Ecosystem Farm is a 9 acre oasis in East Atlanta that uses no pesticides, herbicides, fungicides or artificial fertilizers and grows amazing, nutrient dense fruits, vegetables, eggs and fungi for neighbors, farmers markets and restaurants in the area. We offer a completely customizable farm share, pick-your-own strawberries, a fall pumpkin patch, classes throughout the year and the security of knowing exactly where your food is coming from. Romaine Calm - you know your farmer! Atlanta native, Nate Nardi always found himself drawn to creative expression through making. He discovered his passion for glassblowing in 2001 and realized that glass art was the discipline in which he wanted to specialize. Decatur Glassblowing is an extension of this passion and dedication. Nardi graduated from Jacksonville University in 2004 with a BFA in glass art, receiving an Excellence in Art award from the Dean. In 2009, he graduated with a MFA from Kent State University in Kent, Ohio. He has also completed many workshops at different craft schools around the country, like the Pilchuck School of Glass. Colleen started making handmade soap in 1999, sparked by a love of nature and essential oils, an urge to create beautiful and practical gifts, and a desire to use and promote cruelty-free products without harsh chemicals found in commercial body products. With a desire to make original formulations, she started studying chemistry, aromatherapy, herbs, properties of oils, and FDA requirements. Colleen now makes natural soap and bath & body products under the Green Girl Basics LLC name. Farm Chastain is a thriving part of the Chastain Park Conservancy. Started almost four years ago with the vision of becoming an Urban Teaching Garden, Farm Chastain is 100% organic with a number of raised beds, a large greenhouse, our resident goat Chuck and two roosters, beehives and two composting areas. Educational classes reach everyone in the community from school children and scout groups to individuals and garden clubs. Our FREE workshops are offered by the North Fulton Master Gardeners through generous support of various organizations. All ages, organizations, groups and clubs are welcome to come meet the resident animals, learn more about gardening, have fun and dig in! Shades of Green is a sustainable landscape design and installation firm based in Atlanta, GA. They design and build productive and vibrant landscapes that provide organic food, thriving habitats, herbal medicine, natural beauty, healthy ﻿and chemical-free soils﻿, and water sovereignty. They aim to strengthen all of our connection to the living world and inextricably weave ourselves into a thriving and viable ecology, one living landscape at a time. They believe in creating systems that promote food and water independence. They educate communities, clients, and schools, and develop programming to create interactive experiences in the garden. They provide ongoing support for projects, teaching clients how to read, understand, and interact with their dynamic living system. Wildwood is a young learners enrichment co-op program inspired by the traditional Waldkindergärtens (or forest kindergartens) of Europe, environmental education, wilderness skills, homesteading and farm schools, and play-based early childhood education. They strive to foster environmental awareness and a love of nature through child-led and place-based learning topics, to guide the children in fostering independence and leadership, being kind to one another both big and small, building fine and gross motor skills, and growing their outdoor skill sets. Tradition Market & Garden is an environmentally friendly, socially responsible business that creates farms and products for the earth and its people. Our signature products include Compost, Planting Mix and Organic Fertilizer as well as a beautiful collection of cedar raised beds, trellises, chicken coops, compost bins and more. Tradition Market & Garden goes beyond organic to bring balance and healing to agriculture from large farms to backyard gardens. By applying organic principles to agriculture and urban gardens, Tradition Market & Garden strives to empower people to grow healthy foods and sustainable communities. Connect, Create, Inspire, Share, and Learn: It's all possible through the Southeast Fiber Arts Alliance! SEFAA's mission is to cultivate our regional fiber arts community, and we do so by celebrating, supporting, and perpetuating all fiber art forms and by fostering collaboration and co-operation in the fiber arts community. We are based in Atlanta GA and offer classes, workshops, exhibitions, events, rental space and much more at the SEFAA Center. In 1966, high school English students from Rabun Gap-Nacoochee School decided to produce a magazine, honing their writing skills on stories gathered from their families and neighbors, and producing articles about the pioneer era of southern Appalachia. They called it “Foxfire” after the glowing fungus that clings to rotted wood in the local hills. In 1974, Foxfire used book royalties to purchase land and create an Appalachian heritage center in partnership with the community. The result is a museum, a hands-on classroom, a venue for events, a repository for artifacts, and a remarkable 106-acre physical glimpse of a rich and engaging past. Between the magazine, books, and museum, Foxfire has turned into a phenomenon of education and living history, teaching readers, writers, visitors, and students how our pioneer past helps define who we are and what we can become. And now, 50 years later, Foxfire continues to welcome people from across the globe into the fascinating world of Appalachian pioneer folk. BotanoLogos and has introduced herbalism to thousands of people in the Southeast. The school’s curriculum, in both the foundations of herbalism and clinical program as well as in shorter courses, offers a unique approach to herbal studies. Grounded in the belief that the best herbs are the ones that grow nearby, and that the best way to learn about them is to see them growing in the wild, our programs encourage students to use all of their senses to truly experience herbs as they learn about their uses. Their curriculum celebrates regionally abundant herbs that can be sustainably sourced from the wild or from local growers. In the clinical application of herbs, they teach an Earth-centered understanding of the forces that result in physical, psychological and spiritual strengths and weaknesses. BotanoLogos students quickly grasp concepts that allow them to create a truly holistic and personally meaningful herbal practice. In the past eight years, the teaching staff has expanded to include two graduates of the BotanoLogos certification program: Lorna Mauney-Brodek and Carrie Radcliffe. Patricia Kyritsi Howell is the Program Director and primary instructor for the school, and various herbalists are invited to teach special programs throughout the year.